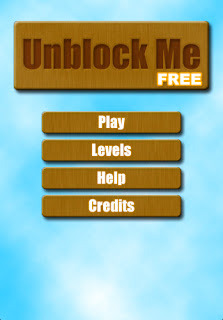 Unblock Me Free is a puzzle slider game where your goal is to move the red block out of the board by sliding the other blocks out of the way. 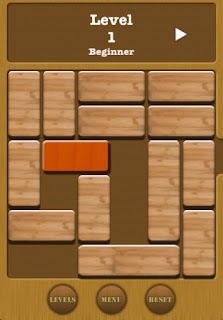 The Free version of this game comes with 400 puzzles in the Beginner level. That’s hours and hours of play time! There is also 2 game modes – relax and challenge mode. It even keeps track of all the levels you’ve cleared. This is a really simple but very very addicting game that’s worth a try, even for gamers who aren’t extremely into puzzle games (like myself). I play this game a lot, especially because I commute on the train every day to and from work – total of about 1.5 hours a day. Some levels can be quick and easy but some levels can be longer and more challenging. I am currently on level 344 and when I beat level 400, I plan on purchasing this game. Currently, this game costs $0.99, has 17 reviews and a rating of 3.5 stars. The paid version will have 4 difficulty levels ranging from beginner to expert, making it 1600 unique puzzles total. I highly recommend giving the free version a shot! So many people are using their iPhones as a music player and a portable gaming device. It’s unfortunate that there are so few (GOOD) music rhythm games out. 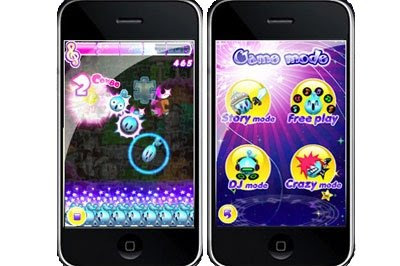 Luckily, I’v come across World of Tunes, a colorful game filled with cool music and great graphics. In this game, an evil bad dude has stolen all of the music from the World of Tunes. It is up to you and all of the Tuneys to get rid of the bad dudes and get all of the music back. The gameplay in World of Tunes is very similar, if not identical, to Elite Beat Agents on the Nintendo DS. Tuneys, the little circular blue dudes will pop up from the bottom of the screen inside some sort of bubble circle. When that circle gets close enough to electrify the Tuneys, their eyes will bulge and you tap them with your finger. This is –should– be all done to the beat of the music. Though, I can’t really match the rhythm to the beat of the music. It may just be me! Anyway, the goal of the game, much like any other rhythm game, is to keep the meter at the top of the screen from going empty before the song ends. Every time you miss a Tuney, your meter will drop. There are some other cool things in the regular gameplay such as getting huge combos (which result in a higher score per Tuney tapped), larger Tuneys that bounce around and require 3 taps, and Tuneys that you need to drag across a path. The music is pretty cool. The song is different on every level, allowing for different experiences because of the the tempos. The only complain I really have is that World of Tunes is too short. The entire game is made up of only 10 levels; 6 regular and 4 boss battles. I beat this game this morning on my train ride into work (~40 minutes). A few other modes are available outside of the standard story mode. I’ve only played the story mode and DJ mode so far. In DJ mode, the Tuneys pop up in straight lines to make the game easier. It’s similar to Tap Tap Revenge, Rock Band, or Guitar Hero. Although being a short game and costing $1.99, I’d still recommend World of Tunes. 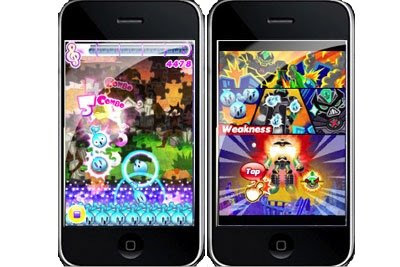 It’s an awesome rhythm game for the iPhone – it’s very fun and addicting. Try the Lite version (2 levels) to see for yourself! The 2 other rhythm games I own on my iPhone are: Dance Dance Revolution S & Tap Tap Revenge 2. If you’ve been looking for the best multi-IM client on the iPhone… here it is! I’ve only had this app for a few days but I can tell you if you’ve used IM+, Nimbuzz, Palringo, and Fringo…. Beejive has the best interface and most custom settings! One major complaint I have is the keyboard lags from time to time when you type but it is a known issue and they will be fixing it – when??? you ask…. I don’t know! Hopefully sooner rather than later though.